It's time for your Weekend Workout with a mix of writing challenges and dictées! We love getting your feedback so please do get in touch about both the functionality and content - what's good, what's bad, what could be better? Note: You can retake these exercises via the link on the final scoring page. 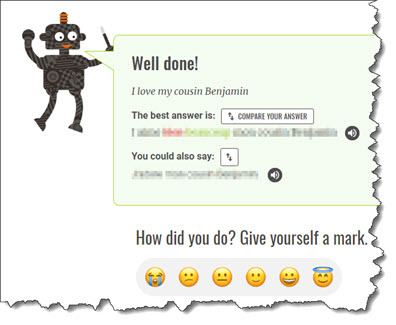 These tests are self-scoring, so after you translate or transcribe each phrase in turn, you'll be shown the correct French to compare to yours so that you can give yourself a score.